Lets start from the areas that are completely inhabited and see what are the current rates for various categories of properties and the rentals there off. Is there a supply glut or under supply. Lets see and I would request my readers to correct/add where ever my info is wrong. I am only taking Ready-To-Move (RTM) apartments for comparative analysis. 1. Golf Course Road :- These projects were launched almost 8-10 years back and most have them are fully inhabited. Supply was a big constraint and the last two property in this stretch (Not including Verandaahs) to be handed possession are Park Place and Belair. These projects were the initial projects when the gurgaon story was getting louder and louder and early birds entered at the mouth watering rates (in today’s term). Prices have increased by 3-4 times depending on the project. Due to supply constraint and locational advantage only the rich could buy then and even today those with loads of money can dream of owning the property here. This stretch has now been branded as Ultra Premium stretch. Those who could not lay hands on these projects due to pricing and being expensive had no choice but to wait for the next corridor to pick up. 2. Sohna Road: For the one’s who missed the GC bus or could not afford GC, there prayers were answered when Sohna Road Projects started getting launched. This was 7 years back (Not including Malibue). Initial projects like Vipul Greens were launched at the rate of 1650 and the later ones were launched at the rate of 2400 and above. Want to see the reaction of 2400 psqft launch. Just sort the IREF gurgaon forum on the basis of timeline and see the first few posts in the first page. Many members were astonished and perplexed with 2400 being the new normal in gurgaon RE. Most of them have commented that the bubble has reached its peak and will burst anytime soon. Trust me at 2500 per sq feet at Sohna road, it was damn expensive for many and soon these properties went out side the affordability level of most of the middle class. Those who missed the Sohna Road bus or could not afford Sohna road waited for another opportunity. Some saw the opportunity in Unitech and invested in Fresco, Close etc etc and rest still waited either for the new project launches or for the bubble to burst. This time the prayers were not ordered with crystal clear clarity but with lots of confusion. This confusion has magnified multifold as on date and only one category is getting benefited from this confusion and that is the builder and broker lobby. I will come to it later but before that lets talk about a gross Structural or Fundamental error that happened in the development of Gurgaon RE. Something similar happened in Noida during the same time. Tired reading this long post? Go grab a glass of water and come back for more…. Golf Course Extension Road (GCX) – Also termed as God’s own Road due to the absurd pricing. I say GCX is a Destiny’s child. It could have been what Sohna road is today but destiny had a different role for it and now it has become the next hot destination in Gurgaon. Ideally after the GC options got exhausted GCX should have seen the next phase of development. But contrary to this development started 10 kms away from GC. Once the projects on Sohna got inhabited and reached a resale peak of 8k-9.5k plus and on this end GC going at 12-14.5k, GCX had to find its median. With and arms length and with better planning on this side now, it will for sure reach ahead of Sohan road soon. So the valuation flows from top to bottom like water. Where ever this water of valuation will move, valuation of the next growth area will move in sync from the top, then to next stop and then to next stop. So when you want to make a prediction about the future prices of other growth corridors see the current resale rate and rentals of the top most corridor, analyse the reason why is it like this and follow the path. Now see the list of growth corridors mentioned above. You will see a pattern in the pricing and rentals of each corridor which is linked to each other. After this there is a confusion as to what will move fast as it all depends on where the infrastructure for day to day living develops faster. 8X,9X or 10x on DE or 37C&D…. Its a open for all field no one can make a very clear cut prediction about them. Lastly affordability factor each corridor has shaped their pricing over the last 10 years. Now those who have money and wont compromise with location and amenities would want to settle in GC, with lesser budget and similar requirement would go for GCX,immediate RTM requirement holders would go to Sohna Road, those who want access to infra like Sohna but can wait for 2-3 year would go for SPR. Further, those with half the budget required for SPR would either go to 8x or 9x or DEW. But they will have to wait for another 8- 10 years for Sohna like infra to develop. Now having seen the past performance, analyzed the current situation, its time to make future prediction before putting your money. I wont go project by project but would go location by location, but will give you a thumb rule to arrive at the future price of the project that you want to invest in. These are purely my assumptions and are applicable on current resale prices. 1. GC – Double in 8 years. Reason for longer time required for 8X,9X & 10X is purely on the basis of infinite supply both in short term, medium term and long term. Apart from this it would take min 6-8 years for the proper infra to develop in those locations. Thanks to Rushil Arora for this post. Gurgaon was a sleepy town two decades ago which barely existed on National map what to talk of global scene. Today it has more than 40 shopping malls like Ambience Mall and MGF Metropolitan. Indian HQ of more than 50 MNCs. More than 10 world class hospitals like Medanta, Artemis and Fortis. Seven golf courses and numerous showrooms of luxury brands like Louis Vuitton, Chanel, BMW and AUDI. Gurgaon has more ultra-luxury residential projects than any other city in India like DLF Aralias, DLF Magnolias, Ireo Grand Arch, Ireo Victory Valley, M3M Golf Estate, Shobha International City & Homestead. 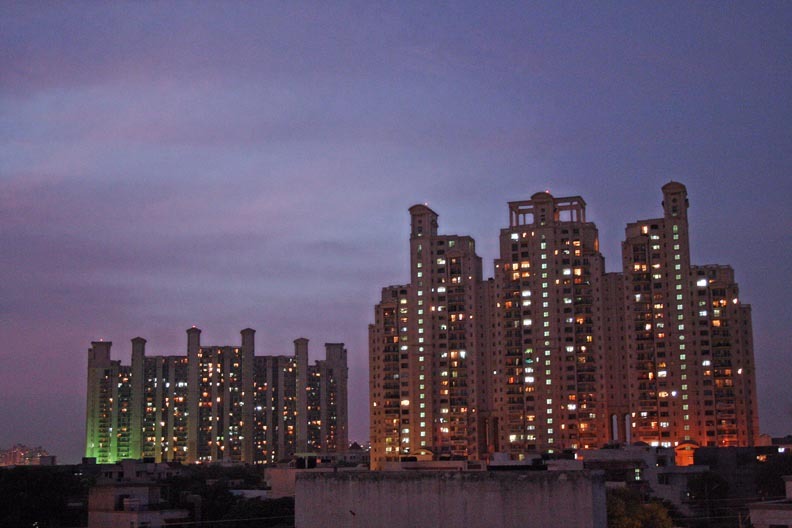 The kind of growth Gurgaon has seen in real estate market in past 10 years is unthinkable. The number of developers operating in Gurgaon has grown from single digit a decade ago to about fifty now. These new entrants are also not small players new to real estate ones but some of very successful players elsewhere like Shobha, Emaar MGF, Hines, 3Cs and Supertech. Some of the biggest business houses of the country who have recently jumped in real estate recently have started from Gurgaon like Mahindra, Godrej, Tata, Bharti, Adani and Indiabulls. FDI backed companies and projects are also plenty like Ireo, Brahma and Experion. Now these 50 plus developers have launched more than 100 projects in past one year or so. The options are many, budgets are high and buyers are totally lost. An average home buyer doesn’t even know what options are available in his budget in his dream city. If he does know 5-6 options out of probable twenty he is considered to be intelligent. But for decision making he is still dependent on unprofessional brokers or so called property consultants. To help buyers in decision making we are making an attempt to arrange available data a form a pattern through a series of blog posts. We would discuss property hot spots of Gurgaon in detail their merits and demerits, projects launched and to be launched in these hot spots, their price life cycle and expected appreciation over a period of next 2-3 years. Infrastructure projects that would play a critical role in making these projects a success. All real estate action in Gurgaon is taking place in these four real estate hotspots. We will discuss more about these hot spots in our subsequent posts starting with New Gurgaon. Joydeep Ghosh: Why real estate prices won’t fall!